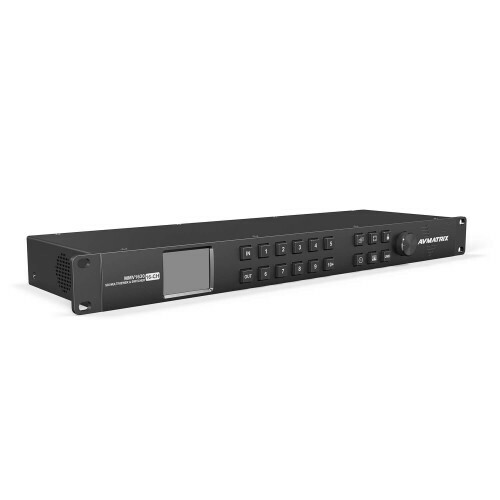 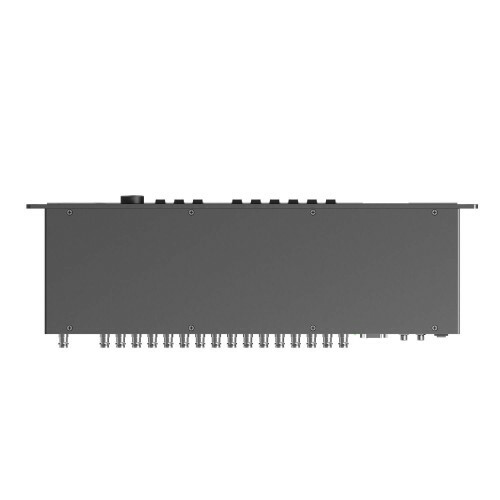 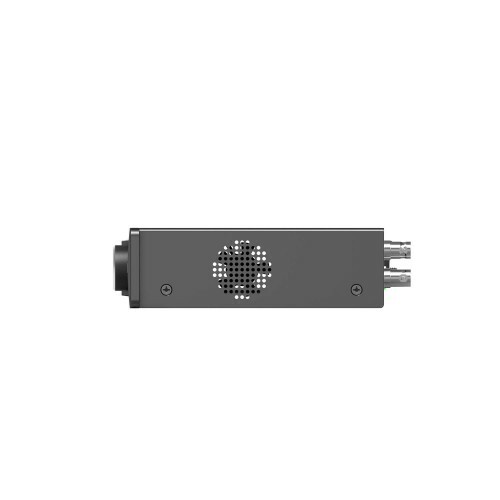 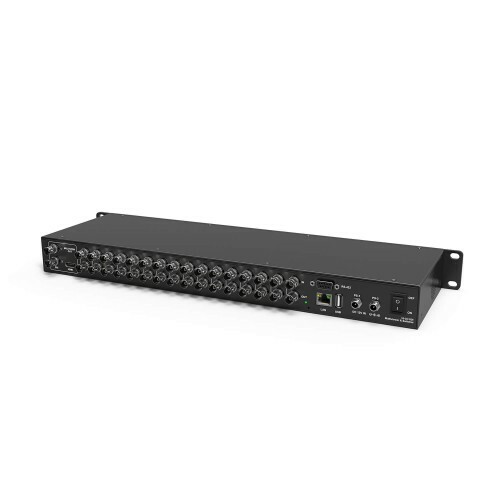 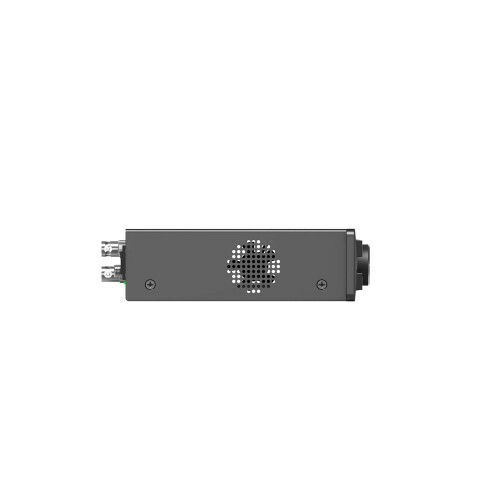 MMV1630 is the perfect solution for a large broadcast project. 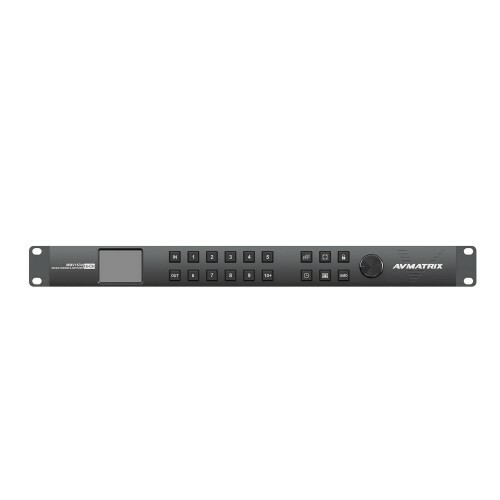 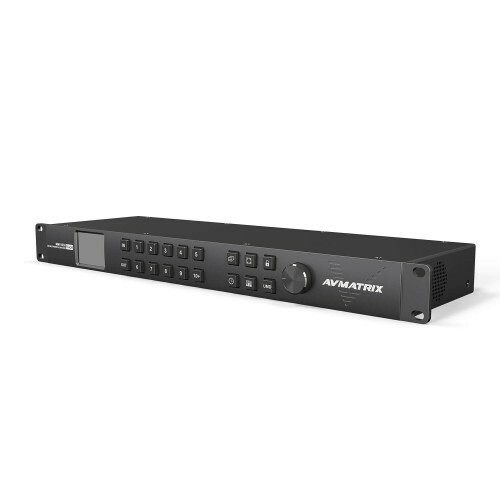 One machine supports two modes, 16 channel SDI multiviewer mode and 16×16 SDI matrix switcher. 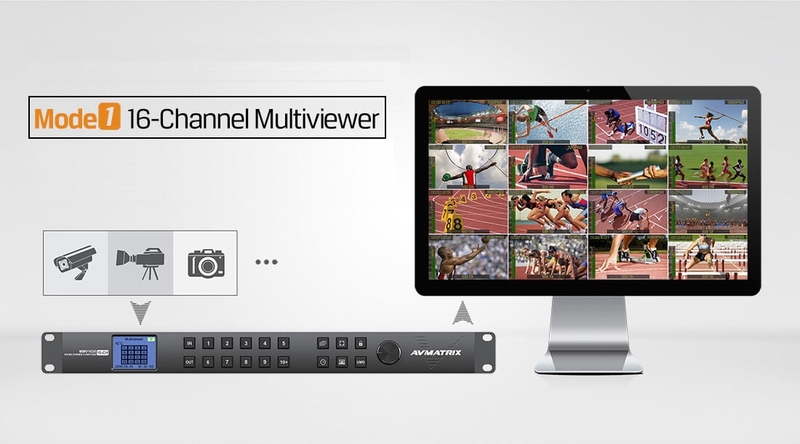 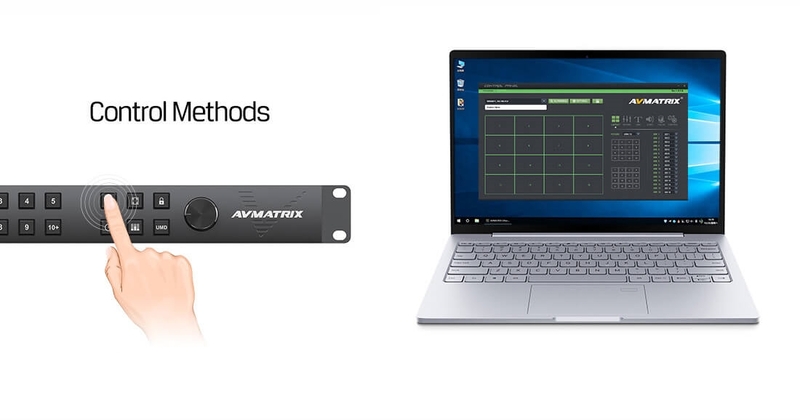 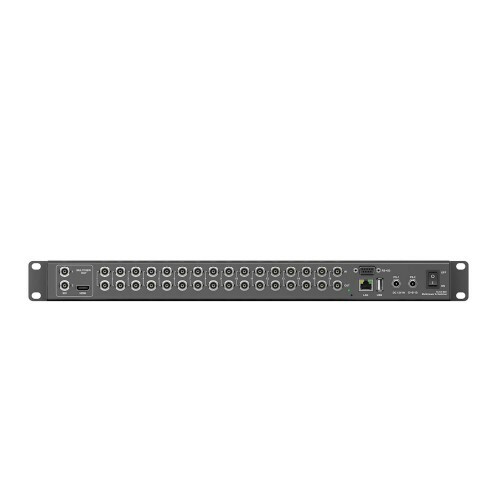 Mode 2 is a Matrix Switcher - meaning that you can matrix in as many different streams as you would want and out put them collectively or individually via the HDMI or SDI ports. 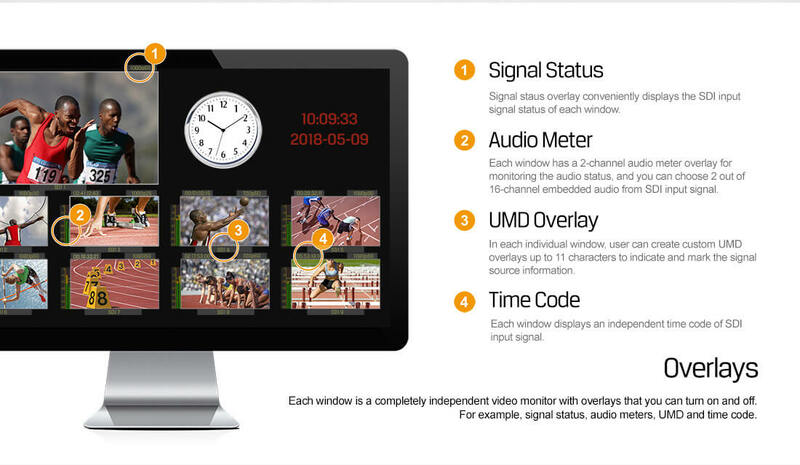 MMV16310 also supports UMD, audio meter, signal status and time code overlay.